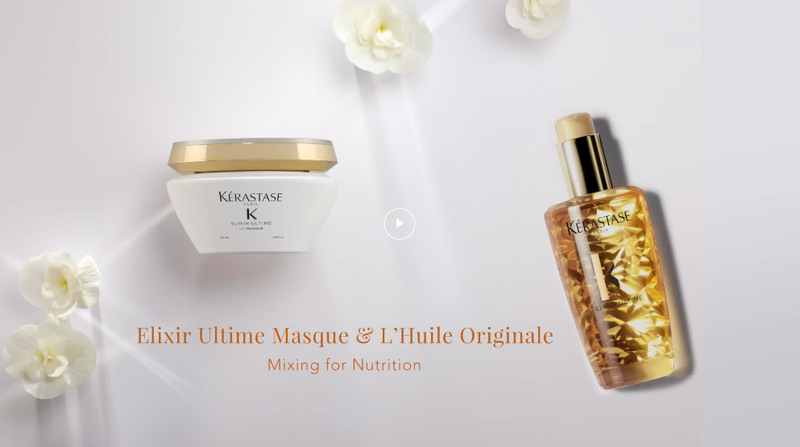 Add 2 to 3 pumps of Huile Originale into a a teaspoon-sized amount of Masque Elixir Ultime and mix until you achieve a smooth silky texture. Take a strand of hair and apply a bit of the mixture applying it to ends and lengths working your way up from the tips. Follow the lead of your hairdresser to make your hair soft and quenched with nourishing shine.